What to Do After an Accident While Driving Someone Else's Car? Car accidents can become complicated legal matters due to a number of circumstances. One of which is a car accident that occurs while you are driving someone else’s car. What happens if you are involved in a car accident in Kansas City, or anywhere in Kansas or Missouri, while you driving someone else’s car? It's an important question for both you and the car's owner. Here's what you need to know. The most immediate steps you should take are the same as after any car accident. You should to confirm if anyone in your car and the other vehicles are injured and in need of medical attention. You should also call the police so they can create a crash report. You should also document the accident scene by taking photos and obtaining the contact information of the driver and any witnesses, including their insurance information. Since you don't own the vehicle, it's important to provide whatever insurance information you have for the vehicle because it may still provide coverage. You obviously should also let the owner of the car you were driving know about the accident, so he or she can inform the insurer. Lastly, you should contact your own car insurance company and tell them you had an accident while driving a car owned by another person. Who Pays for Damages After an Accident in Someone Else's Car? Unfortunately, the short answer to this question is: it depends. Who pays for the damage caused in this sort of accident will depends on who caused the accident, the insurance company involved, and the type of insurance policy. As with any car accident, who is at fault for causing the car accident is an important factor. If you caused the accident (say, you rear-ended another car because you were speeding, distracted, or following too closely), the car owner’s insurer may pay the damages if the amount is relatively minor. However, if the damages are high and injuries are serious, the liability coverage of the owner’s car insurance policy may not be sufficient. If so, your insurance company may be responsible for paying the remainder. If you do not have car insurance or a sufficient amount, you could personally be liable. The terms of the insurance policies at issue are also an important factor. If you were not listed on the car owner’s policy, that insurance company may not cover any damages for injuries. If that’s the case, you or your insurance policy may be on the hook. In addition, if you drove the car without the owner’s consent, the car owner’s policy may not apply. Again, your own insurance would be responsible for the damages depending on the language of the policy. If the crash was caused by the other driver, it doesn’t matter whether or not you own the car. In Missouri and Kansas, the driver that caused the accident is liable for the damages caused by the accident, and that driver’s insurance company must pay damages up to policy limits. If the other driver's negligence clearly caused the accident, you don’t have to worry about using your or the car owner's insurance policy to pay for damages. 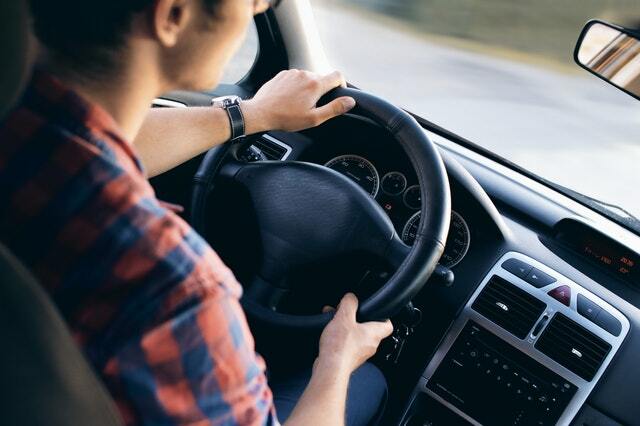 If it is unclear who is at fault and the other driver claims that you are somehow liable, then your insurance coverage and that of the car owner will be a factor in determining who pays. Again, this depends on the circumstances of the crash and the kind of insurance coverage at issue. Cases with disputed liability can become legal matters, even if it is simply your car and not that of another party. For that reason, you should consider consulting with a Kansas City car accident lawyer who can make sure your rights are protected and you receive the compensation you deserve. Complicated legal issues can arise when you are in a car accident while driving someone else’s car. The stakes are even higher in cases where the damage is substantial or injuries are severe. To better understand these legal issues and ensure that your legal rights are protected, contact our Kansas City car accident lawyer. Cal the Law Office of Kevin J. McManus in Kansas City at (816) 203-0143, and we would be happy to arrange a free, no obligation consultation. ?Who is at fault for a Kansas City car accident? ?How do I pay my medical bills after a car accident?